A woman (Mary Woronov) whose father (Walter Abel) is mayor of a small town reflects on the gruesome history of a house inherited by a man (James Patterson) who sends his lawyer (Patrick O’Neal) and O’Neal’s wife (Astrid Heeren) to try to sell it, with bloody results. This wintertime slasher flick — once a drive-in film, then a staple of late-night-TV — is primarily known for featuring a cast of Andy Warhol’s “superstars” (including Mary Woronov, Ondine, and Candy Darling), and for offering a gory alternative to the sanitized cheer of holiday films like White Christmas (1954). The storyline is somewhat convoluted, but that’s beside the point: what’s really on display here is plenty of atmospheric mystery and suspense in the midst of bloody murders, all as snow falls gently outside in a small east coast town with a heavy history (it was filmed in Oyster Bay, Long Island). For those who are interested, a sequel is apparently in the works — this one actually featuring Santa himself. No; this one is only must-see for its cult followers. First viewing. 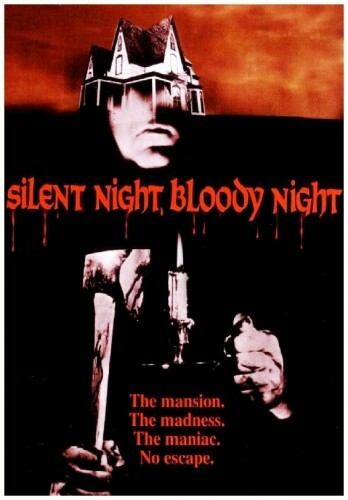 Not must-see, though it will be of interest to those who follow the history of slasher films. As such, it’s surprising to see it’s not as gratuitous as one might expect. Yes, there are murders – but they happen rather quickly and the director isn’t that interested in exploiting them to the fullest. The older I get, the less tolerant I’ve become of slasher-type films. I see their point less and less. But that can depend on the overall angle of any particular film. This one does at least have more of a mind toward story. To that end, we get considerable backstory – which is filmed rather well in sepia, making that the more ‘distinguished’ aspect of the film. The film certainly does get a bit of a lift thanks to the presence of established actors like John Carradine, Patrick O’Neal and Walter Abel (!). But ultimately there’s a base agenda here with the motivation of revenge, and that’s the film’s main calling card.